Marklin z scale 8800 loco. Condition is very good,runs well in both directions.Wrong box. Shipped with USPS First Class Package. Antiques, Artwork, Advertising. PHOTOS OF THE ACTUAL ITEM(S) FOR SALE. Model Trains. Military & Aviation. All of our original pieces are signed and dated. Details include aged woodslat roof, put on piece by piece. aged wooden uppers with a stone lower floor. 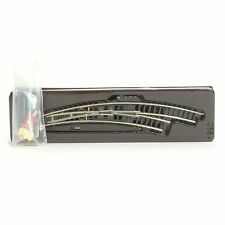 Early MARKLIN MINI-CLUB 8854 Z Gauge DB BR 103 113-7 TEE Electric Locomotive. Excellent condition. Tested and runs well. Shipped with USPS Priority Mail. Rokuhan (Rokuhan). minimum passing curve radius will be able to bend the smallest curve at R45, Z gauge! Since Arnold coupler (length) is already attached to the front and rear of the chassis, it can be consolidated in the vehicle! This could be a wonderful Marklin miniclub Crocodile but it's not. It looks good but very indifferent runner. We are talking marklin z scale. I dipped my toe into z scale recently, but trying to be sensible and move on at least a few things hence we have this item. Assorted seated and standing style. Note:Light shooting and different displays may cause the color of the item in the picture a little different from the real thing. Scale: 1:200. A highly detailed model from JMC Scale Models, from a very limited number collection. The wheels are not rolling. Locomotive à VAPEUR BR 52. Référence: 88065. 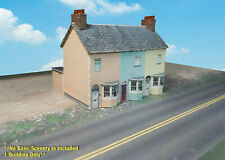 This listing is for one (1) Z scale set of four (4) weathered shanty type buildings. This is a card stock kit, also known as “card models”. Very detailed and low cost alternative to populating your layout with structures. 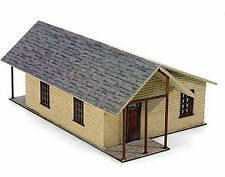 This listing is for Two (2) Z Scale Card Stock Model kits of gabled roof style houses with many accessories as shown. This is a model kit and once assembled properly it will resemble the one pictured here. Included is 1 German Federal Railroad (DB) class 50 steam freight locomotive with a tender with brakemans cab, 1 Henschel design rotary snow plow with type T 26 tender. 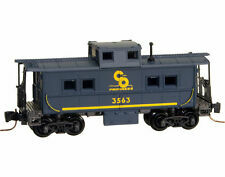 The steam locomotive features the new 5-pole mini-club motor, all driving axles powered. The rotary snowplow has a detailed reproduction of the rotary snow plow front housing, movable side wings, the rotary snowplow wh... This item has been graded per TCA standards C-8: Like New. The original box is included. Overall condition is Like New. Availability: Ships in 1 Business Day!. This listing is for one (1) Z scale set of weathered Sheds. This is a card stock kit, also known as “card models”. Very detailed and low cost alternative to populating your layout with structures. 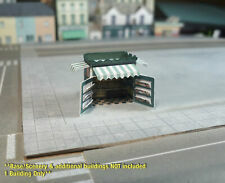 This listing is for one (1) Z scale retro style ice cream restaurant. This is a card stock kit, also known as “card models”. Very detailed and low cost alternative to populating your layout with structures. This listing is for one set consisting of five (5) Z scale individual houses. These are card stock kits, also known as “card models”. Very detailed and low cost alternative to populating your layout with structures.